Cavities, fractures and other injuries to your teeth can cause pain and other problems. If left untreated, they can lead to pain, and jeopardize your dental and overall health. Broken or infected teeth may also cause you to have negative feelings about your smile. Inlays and Onlays offer an attractive and long-lasting solution to damaged or painful teeth. 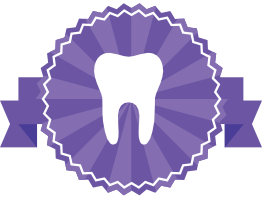 When you come to our West Chester Dental Office, Dr. Schwan will match you inlay or onlay to your tooth’s shape, size, and color. Your newly restored teeth will feel better, and blend in with your natural smile. Inlays and Onlays are similar treatments that repair damaged teeth while preserving the natural look of your smile. With this restorative cosmetic treatment, the healthy tooth structure is preserved, leaving more of your natural smile in tact. If you are suffering from an injured or infected tooth, Dr Schwan can determine if one of these treatments is right for you. A dental inlay is an indirect filling that is pre-formed before being bonded to the hurt tooth. After removing the decayed area, Dr Schwan takes an impression of the prepared tooth, which he uses to create your customized inlay. The difference between inlays and onlays is simply a matter of where the affected tooth is located in the mouth. Dental onlays are the same as inlays, but lay on top of the visible — or chewing — surface of a front tooth. Sometimes Onlays are called “Partial Crowns”, because they only cover the top part of the crown, leaving the healthy base and sides of tooth intact. New materials like dental ceramics and composite resins not only have a natural look, they are strong and durable, too. Inlays and Onlays not only look better than metal fillings, they have structural advantages, too. A traditional filling is applied soft, and can contract while it hardens— leaving an empty space where decay can start. Inlays and Onlays are custom-fit from a mold of your tooth, encouraging a precise fit. And since they are not made of metal, your new inlays won’t expand or contract, reducing the chance of fracture to the tooth. Get relief with your custom-fit Inlay or Onlay the same day of your visit at our West Chester office. Our in-house Cerec 3 machine creates your dental inlay or onlays while you wait, saving you time and money. There’s no need to send impressions out to a lab, so you don’t need to worry about scheduling multiple follow-up visits. Dr Schwan will bond your restoration to the pain-causing tooth, for perfect fit and lasting comfort. You’ll soon be chewing like normal, and your teeth will close together comfortably, without any awkward feeling. If you have more questions about one-visit Dental Inlays and Onlays for a healthy, attractive smile, please call our West Chester dental office. Or Contact Dr Robert Schwan to schedule an appointment. We are Located in West Chester Pennsylvania, across from Chester County Hospital. Dr. Schwan always welcomes patients from the greater Chester County area.